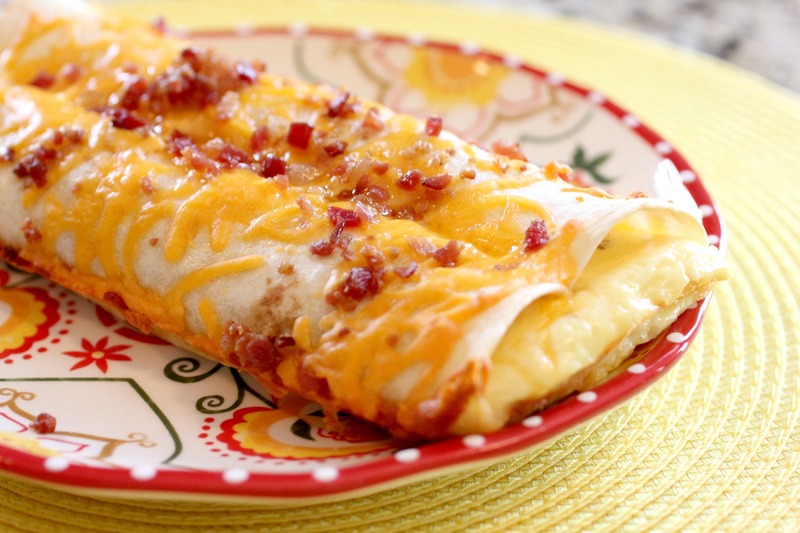 The enchilada is one of the dishes mentioned in Mexico’s first cookbook in 1831. Enchiladas originated in Mexico, where the practice of rolling tortillas around other food dates back at least to Mayan times. Writing at the time of the Spanish conquistadors, Bernal Díaz del Castillo documented a feast enjoyed by Europeans hosted by Hernán Cortés in Coyoacán, which included foods served in corn tortillas. In the 19th century, as Mexican cuisine was being memorialized, enchiladas were mentioned in the first Mexican cookbook, El cocinero mexicano (“The Mexican Chef”), published in 1831, and in Mariano Galvan Rivera’s Diccionario de Cocina, published in 1845. Enchiladas appeared in an English language cookbook in 1914 titled, California Mexican-Spanish Cookbook written by Bertha Haffner Ginger. In Costa Rica, the enchilada is a common, small, spicy pastry made with puff pastry and filled with diced potatoes spiced with a common variation of tabasco sauce or other similar sauces. In Honduras, enchiladas is called tostada. They are not corn tortillas rolled around a filling, but instead are flat, fried, corn tortillas topped with ground beef, salad toppings, a tomato sauce, and crumbled or shredded cheese. 1865 Nellie Bly (Elizabeth Jane Cochran) was born. In 1889 Bly successfully completed an attempt to beat the record of Jules Verne’s fictional Phileas Fogg to go ‘Around the World in Eighty Days’. Bly was a U.S. newspaper reporter and completed the journey in 72 days, 6 hours, 11 minutes and 14 seconds. 1903 James Beard, culinary expert and cookbook author was born. Quote: “The kitchen, reasonably enough, was the scene of my first gastronomic adventure. I was on all fours. I crawled into the vegetable bin, settled on a giant onion and ate it, skin and all. It must have marked me for life, for I have never ceased to love the hearty flavor of raw onions”. 1926 Ann B. Davis was born. She played the role of Alice the housekeeper and cook on the TV show ‘The Brady Bunch’ (1969-1974). 1936 A patent was granted for the first bottle with a screw cap to Edward Ravenscroft of Glencoe, Illinois. Reblogged this on My Dear Chocolate.